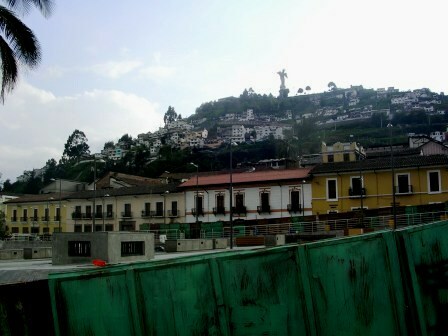 It sits close to the base of the famous "Panecillo" hill which is crowned with a winged virgin statue. We walked la Ronda as part of our wandering through Old Town Quito. 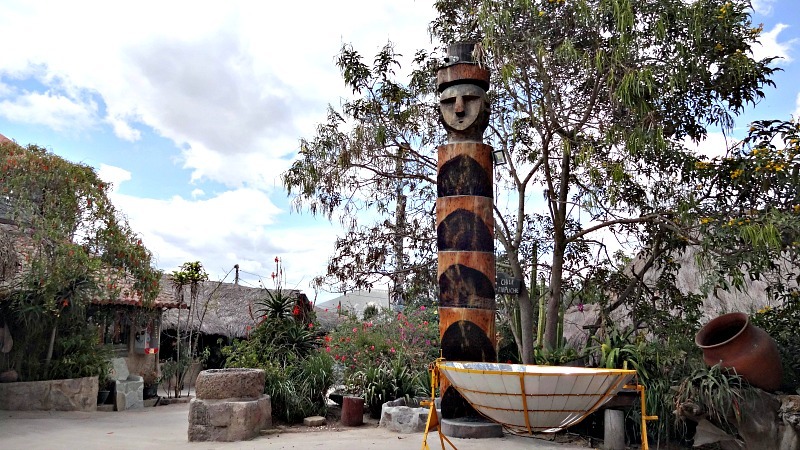 We enjoyed the stroll through part of the history of Quito. The street is narrow and pretty. 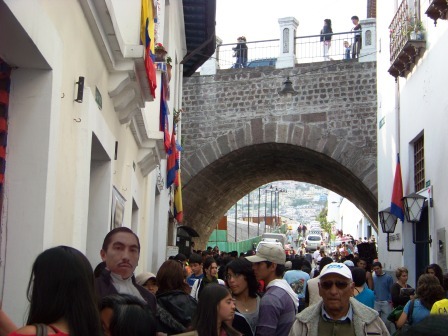 We were there during the fiestas of Quito so it was full of people. A band was playing under a the small bridge that passes overhead, with a crowd gathered round. 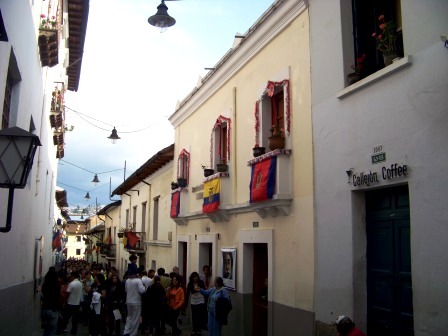 Small shops selling typical Ecuadorian snacks were filled with people. And little gift shops displayed a variety of crafts. 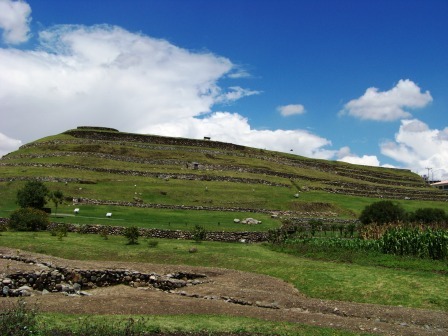 The houses are built one right next to the other. 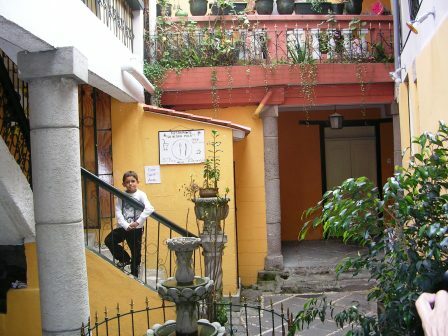 Inside many have a small courtyard with a garden. 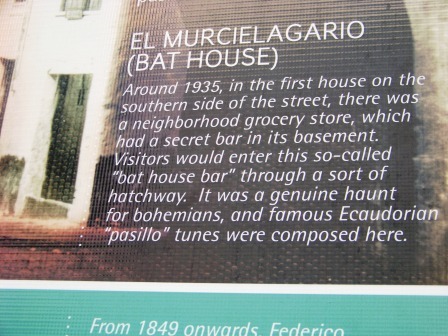 One has steps descending underground to places where a secret bar called "The Bat House" was hidden.